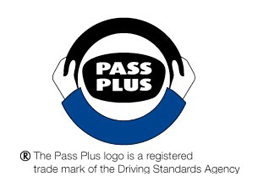 Pass plus is scheme backed by the Government and the Driving Standards Agency along with certain Insurance companies. Its aim is to give newly qualified drivers experience in situations they may not have covered during their lessons. This leads to newly qualified drivers being safer and more confident drivers reducing the risk of an accident. Firstly let me tell you what it doesn't involve.. A TEST, so stop panicking about that, relax and read on. Pass Plus consists of six modules which cover, driving in the town, in all weathers, on rural roads, at night, Dual Carriageways and Motorways. Pass Plus will take a minimum of six hours to complete, and can be done in two, three or six hour sessions. If you want to include Motorway driving as a practical module this will involve a drive to either Glasgow or Edinburgh. This will take longer than six hours, at no extra cost to you. What is the benefit of Pass Plus? Firstly and most importantly it will make you a safer and more confident driver. You will be taught how to deal with a wide range of road and traffic situations, many of which you probably won't have faced before during your training. Certain Insurance companies offer discounts to those customers who have completed the Pass Plus course.